Big Spring Creek originates seven miles southeast of Lewistown where it bubbles out of the ground from one of the world's largest fresh water springs. Historically known as a sacred site to Native American tribes, and later recorded as a valued resource for Lewistown's early settlers, Big Spring Creek remains one of Lewistown's best kept secrets. This artesian spring emerges from the Madison-Limestone aquifer formation on the north slopes of the Big Snowy Mountains and pumps from 50,000 to 64,000 gallons of 52 degree, mineral rich water per minute, all year round. From here, Big Spring is diverted in part, and serves as a state fish hatchery in which thousands of brown, rainbow and cutthroat trout are raised annually. From it's origin near the state fish hatchery, the creek runs almost thirty miles before joining the Judith River, a main tributary of the Missouri River. The creek flows through and under the City of Lewistown for a few city blocks, via a man-made channel, crafted as the town was built around it. Big Spring Creek is a stream of extraordinary beauty and is a superb fishery, known for its year-round, red-ribbon fly-fishing. Montana Fish, Wildlife & Parks maintains six seasonal public fishing access sites along Big Spring Creek. Lewistown is one of the few towns of its size where you can often catch rainbow and brown trout from within the city limits. Swimming, tubing and kayaking are among the many popular recreational activities available along the creek, especially during the hot, summer months. The 25+ mile City trail system meanders along the creek for many miles, providing scenic exercise and wildlife-viewing opportunities. 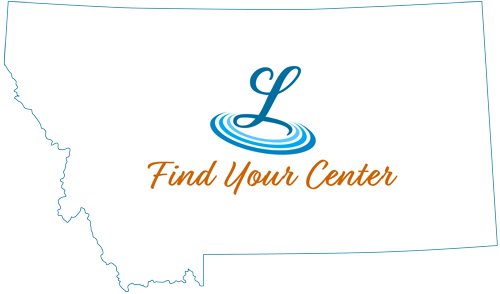 Aside from the world class fly-fishing and recreational opportunities, Big Spring Creek is the main water source for the City of Lewistown, providing crystal clear, mineral-rich water to it's 6,000+ city residents, with little purification needed. This crystal-clear mineral water is also bottled and shipped throughout the country. Big Spring Creek, with its scenic beauty, tranquil waters and meandering byways is truly Lewistown's sparkling treasure.